DATE: Tuesday May 14, 2019, 7:00 P.M.
Our May program will be given by Charles Wilson regaling us with his past and present experiences with orchid growing. And possibly offer some words about zoology. Charles G. Wilson has been growing orchids for over 35 years. During his orchid time in Memphis, he and his wife, Susan, were responsible for creating exhibits for shows for which they received 17 Orchid Digest Trophies, 27 AOS Show Trophies and 4 Silver Certificates. He currently serves on both the Education and the Research and Conservation Committees for the AOS. He is a past president and lifetime member of the Memphis Orchid Society, and also a member of the Portland Orchid Society. He currently serves as Chair of the Constitution & Bylaws Committee for the Mid-America Orchid Congress and as co-editor for the MAOC newsletter. As always, visitors are welcome to participate. 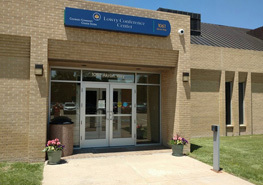 The Lowry Conference Center is located centrally in Denver at the corner of Yosemite Street and Akron Way. It has convenient free parking with direct access to the ground floor meeting room and free WiFi. The Denver Orchid Society meets on the 2nd Tuesday of every month, with the exception of a summer break in July and August. Visitors are always welcome! Our meetings include a short business discussion, an informal Show-and-Tell, an expert speaker orchid presentation, and the sale of orchid plants. 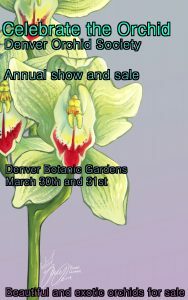 The DOS Spring Show held at the Denver Botanic Gardens March 30-31 was a rousing success. We had good interest from the public and flowering orchids enough to please novices and experts alike. Thanks to our show chair Debbie Martin and the many volunteers that made it possible. Judging sessions are open to all orchid growers and are held on the 2nd Saturday of each month at the Colorado Federation-Garden Clubs building, 1556 Emerson Street in Denver. Off-street parking is available. Centrally located just north of Colfax, this location is close to Denver Botanic Gardens. Everyone is welcome, so try to attend at least once. Bring your best plants and stay a while. It is a great educational experience. 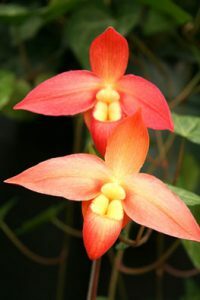 The Denver Orchid Society is dedicated to the appreciation and cultivation of orchids as a hobby, and promotes the sharing of information through education, research, and native orchids conservation.